HD ELECTRIC SUBMERSIBLE PUMP FOR A WIDE RANGE OF DEWATERING TASKS FROM POOLS TO PONDS, BASEMENTS TO CRAWLSPACES. SIDE DRAW STRAINER WILL DRAW DOWN TO 3" APPROX. MAY RUN UNATTENDED AND DOES HAVE THERMAL OVERLOAD PROTECTION IF OVERHEATED WHICH WILL RESET WHEN COOL. USE WITH FLOAT SWITCH FOR CONTINUAL SEEPAGE. 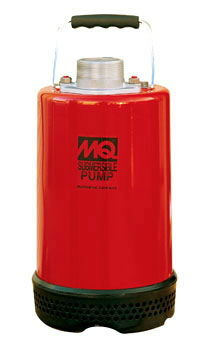 * Please call us for any questions on our pump 2 inch 110v submersible rentals in Portland OR, Gresham OR, Milwaukee OR, and surrounding metro area.